Content marketing is a buzz word right now and according to Social Media Implications, it’s all about creating content that spreads! The other day I was discussing viral content marketing with a friend (yes, we really are that lame) over coffee. She mentioned that she thought viral marketing was only for certain types of niches, such as those that could be labeled under entertainment. In other words, viral marketing was only for ‘fun’ niches, rather than those that could be described as boring. I most heartily disagree, I think viral marketing is for any niche around. Because even the most boring of topics can generate interest, as there will always be an audience that doesn’t find it boring. 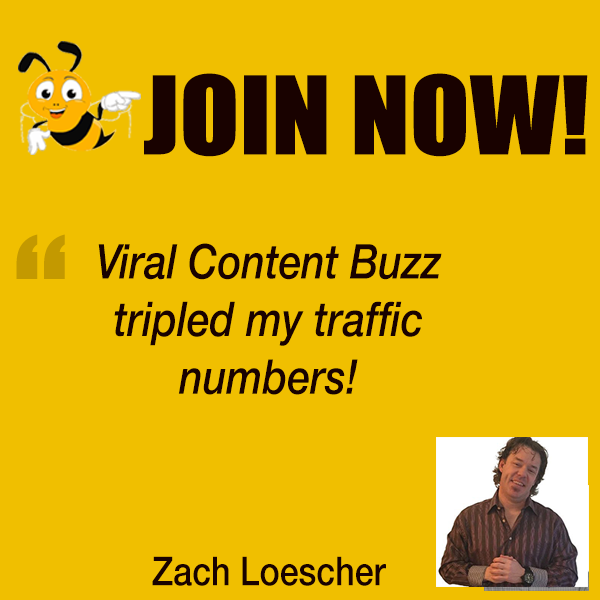 Besides, the idea behind viral content is that it has been shared to a huge degree. Which may or may not be due to entertainment value, and could just as easily be thanks to the value of the information itself. Of course, to me all viral marketing is really just marketing in general. No amount of fiddling with what you produce is going to ensure that it spreads. Often only luck, such as posting it at the right time while hitting the exact right resonance and initially appealing to the right people, will be enough for that. Sorry, but it is the cold, hard truth. That doesn’t mean you can’t encourage better traffic and hope it eventually leads to viral status, however. Whatever niche you are basing your content on will have a chance if you give it one. Deodorant…not very exciting, is it? The hygiene niche in general is a pretty bland one, as it doesn’t even have the oomph of related fields like beauty products, skin health or weight loss, all of which are at least provocative. Hygiene also has the dubious title of Things We Don’t Talk About, as it is hardly a polite topic of conversation. But if you need proof that something uncomfortable can turn into a phenomenon in popular culture, look no further than the Old Spice Guy. Yeah, you knew it was coming, and why not? It is perhaps the most popular example of viral marketing ever, and all within a niche that is as boring as they come. Another boring niche is blenders. Yet Will It Blend?, the brain child of Blendtec, not only turned into a huge campaign that still attracts a great deal of attention eight years later, but it launched the company from obscurity to internet fame. Plus, we get to see a blender decimate an iPhone. That is pretty cool, don’t you think? How about printing? Could be the most boring industry ever unless you come up with something awesome! That’s what Print Me Poster did with their “Print your Instagram poster” service! Even garden sheds have gotten their day. Every year Reader Sheds holds an open contest for their ‘Shed Of The Year’ award. Not only does it gain more than a thousand entries per year, but it is a pretty big deal on social media. Even news sources in the UK like the Guardian and the Daily Mail cover them, making them an immediate candidate for viral status every year. My point is that there is very little justification for the theory that a so-called boring niche will not have a shot at becoming a viral marketers dream. The problem then falls to the viability of creating viral content in the first place. OK, some of it will…maybe. At least for some of the people reading this. But for every awesome bit of content you produce, there will be something less impressive that becomes a web-wide phenomenon. Most of what is behind this is pure, dumb luck. Often the person who created the content had no actual intention for it to go viral in the first place. Later on, their other work won’t find nearly as much success, even if it did make them a little piece of Internet history. Remember this guy? Yeah, Tay Zonday is a great example of unexpected fame. Make sure your content is high quality. Give your content wide appeal to not only your followers, but more importantly their friends who don’t know you or your site yet. Use provocative and eye catching headlines. 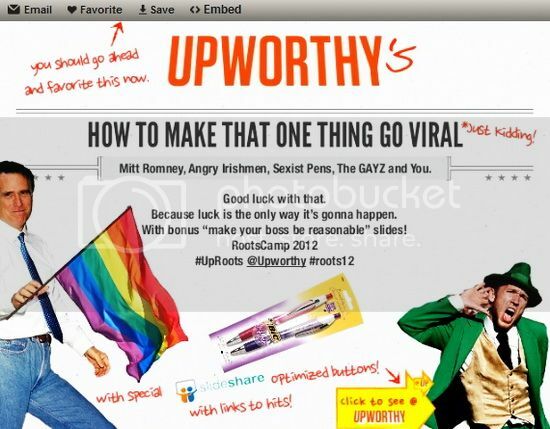 But the best presentation I have ever seen on this topic came from the geniuses at Upworthy. 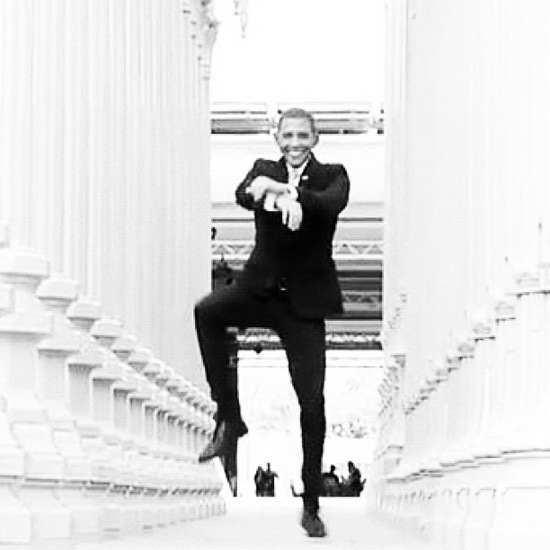 Their slideshow How To Make That One Thing Go Viral includes the subheading “Just Kidding” for a reason. They understand that it is fruitless to create content purely for the sake of marketing it on a viral level. It was a lesson they have learned through experience. The presentation instead talks about the few posts they have published that had hit over 1,000,000 views, and what they believe was the reason behind it. They also give practical and useful advice on optimizing your content to have the best chance of increased visibility, whether it leads to viral status or not. Sadly, the truth about viral content is that it tends to be a fluke. A lot of what you make will not get the attention it deserves, and some of what you make that is less impressive might get a lot more. It is just one of those odd facts in life that we are all subjected to. But don;t despair, that doesn’t mean your content will not go viral in the future, it has every chance in the world. Even if you are not in a ‘fun’ niche. If garden sheds can get a sweet deal in the sharing department, so can you. Really. Very good points Ann. It is true that many people write off the idea of creating viral campaigns because of the niche. I think also one of the biggest misconceptions is that just because a piece if really great or awesome or useful, that is enough for it to go viral on it’s own. You have to know how to get eyeballs in front of that great content! which is of course were tools like VCB can help. Humor is always a good idea for boring niches. Create something that is hilarious and people will love to share it with their friends. You can make any niche viral by making interesting contents, and I believe each niche has interesting contents, don’t betray your visitors with the only false topic title, in this case, you will not get any returning traffic.